What happened at Vision Night? And why is it important? Three individuals from our community shared stories of when they saw the Kingdom of God intersect with their lives in a meaningful way. We heard stories of God’s love experienced on a global, local, and personal level. After hearing their stories, we were asked to think about where we would like to see God’s goodness in our own communities. The ideas ranged from grief processing to schools and families to homeless outreach and more. 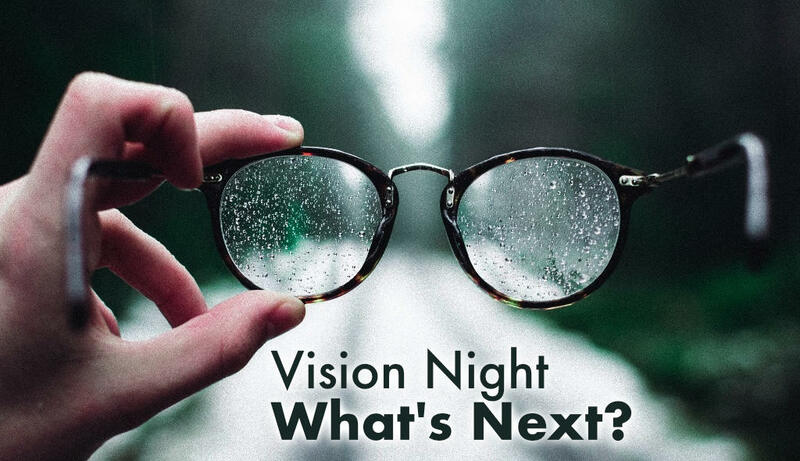 WeVision Night was birthed out of Mustard Seed’s desire to be an outward moving a church, a church that exists as a representative of Christ’s love to our neighbors. We’ve imagined together what that could look like, and now we want to act on what we’ve dreamed up. And we need your voice! On July 18th at our Neighboring Roundtable, we’ll gather in a home to put those dreams to paper. We’ll bring our ideas to the table and research how we could best love our neighbors. We’ll familiarize ourselves with the needs of our community and decide how we could tangibly meet God’s presence there. On July 25th at our Mobilization Night, we’ll commit to two to three places or groups of people we’ll love and serve in the community. Our hope is that our imagination, planning, and prayerful discernment will inform our commitment to tangibly love our neighbors. We want to commit to loving Christ and his people well in our community, and this night will be to collectively as a community say, “Yes, Lord.” In other words, we will commission our church into the community. The diversity of ideas and experiences shared at Vision Night was reflective of the fabric of God’s Kingdom. We are filled with holy anticipation as we look to where God is calling us in our community. We hope you’ll join us as we look to God and our neighbors, learning together to love well.